Synopsis: After the cataclysmic events in New York with The Avengers, Marvel’s Captain America: The Winter Soldier finds Steve Rogers (Chris Evans), aka Captain America, living quietly in Washington, D.C. and trying to adjust to the modern world. But when a S.H.I.E.L.D. colleague comes under attack, Steve becomes embroiled in a web of intrigue that threatens to put the world at risk. Joining forces with the Black Widow (Scarlett Johansson), Captain America struggles to expose the ever-widening conspiracy while fighting off professional assassins sent to silence him at every turn. When the full scope of the villainous plot is revealed, Captain America and the Black Widow enlist the help of a new ally, the Falcon (Anthony Mackie). However, they soon find themselves up against an unexpected and formidable enemy – the Winter Soldier. Review: Captain America: The Winter Soldier is a game changer in terms of the Marvel movie universe – the events that unfold in this film has far reaching repercussions, and it is definitely interesting that the studio chose to do it in a single movie. This is particularly so given the track record of dragging out plot developments across multiple films prior to the “proper” Avengers movie in 2012. With this change, Nick Fury (Samuel L. Jackson) is finally given more screen time and actually feels like a character in the movie proper, instead of a plot delivery device, usually showing up in end credit sequences. Apart from Nick Fury, Scarlett Johansson’s Black Widow is also given a much larger role, and can essentially be considered Captain America’s partner throughout the whole movie. This is an astute choice because Captain America can be considered to be quite a vanilla superhero, and almost everything that he does here is a retread of the first movie. It doesn’t help that despite his physicality, Chris Evans really lacks the charisma and presence of other action superheroes. With Black Widow in the mix, things get a little more interesting, since she is willing to bend the rules to her favour, and Scarlett Johansson as an actress is many levels more charismatic than Chris Evans is. Suffice to say that she successfully manages to steal the limelight from Evans in the film consistently, which actually winds up being not a bad thing. A small plot thread involves Black Widow thinking of all the women that Captain America can hook up with, and interestingly enough, she herself is never presented as an option despite some hints of a possible romantic dalliance – perhaps this would be further expounded upon in future Marvel movies. Action setpieces are a must in any self-respecting superhero movie, and these do not disappoint in The Winter Soldier. The directors made an interesting choice to move away from CGI for some of these action sequences, and the audience is treated to a number of “smaller” scenes – a car chase, ground pursuit and close quarters combat, which are really far more entertaining than the CGI-laden finale. One big caveat – directors Anthony and Joe Russo does not seem to be comfortable with helming a big superhero action movie, and chooses to go the route of employing jerky camera movements and frantic quick cuts to suggest visceral action. It does not work well, and is even more pronounced when viewed in 3D, particularly the two sequences that bookend the movie. The identity of the Winter Soldier will be no mystery to anyone familiar with the Marvel comic universe, but the script does make it a sufficiently interesting reveal for moviegoers who are not that acquainted with the backstory of Captain America. 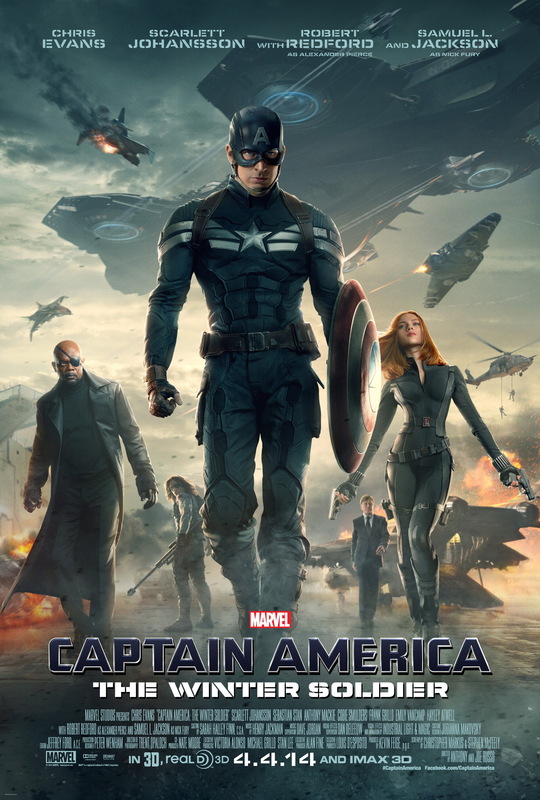 Returning scribes Christopher Markus and Stephen McFeely wisely chooses to devote a good amount of screen time delving into the more emotional aspects of the Captain (the Winter Soldier reveal and a short sequence with Peggy Carter, for example), which gives the character more dimensionality and makes up partially for Evans’ lack of charisma. And to be fair, Evans does a decent job in these scenes, underscoring the fact that Captain America belongs very much to the “more human” category of superheroes. Captain America, like Iron Man, seems to be planned as a trilogy, though it’s hard to imagine a third movie being in the same mold as the previous two without it feeling like a tired retread. However, Captain America is one of the longest running comic book franchises, so hopefully the final film would find some way to improve further on its predecessors. The Winter Soldier is perfectly fine as the opening salvo in a year chock-full of superhero movies, and it will certainly be interesting to see how the events initiated in this film will cascade out to the next few Marvel films, particularly Avengers: Age of Ultron next year. P.S. There are two end credit codas, one mid credits which gives a sneak peek into Age of Ultron, and one at the very end which hopefully hints at further developments for the Captain America franchise. 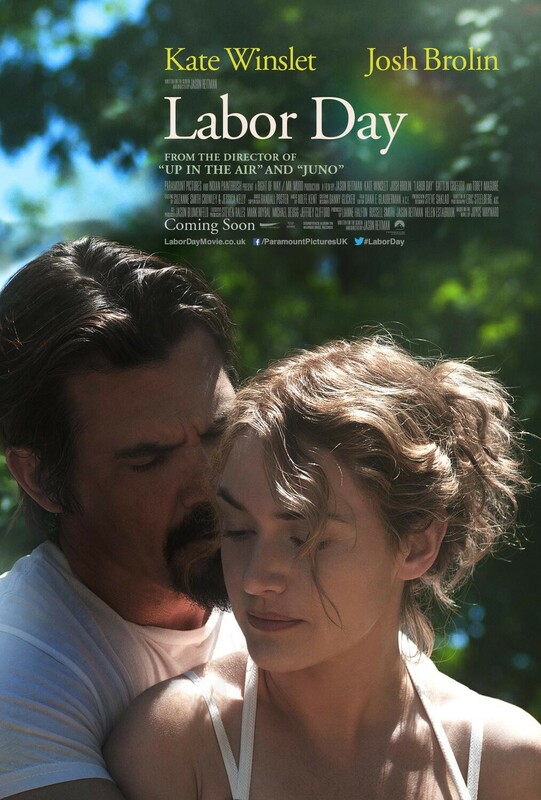 Synopsis: Labor Day centers on 13-­year-­old Henry Wheeler (Gattlin Griffith), who struggles to be the man of his house and care for his reclusive mother Adele (Kate Winslet) while confronting all the pangs of adolescence. On a back-to-school shopping trip, Henry and his mother encounter Frank Chambers (Josh Brolin), a man both intimidating and clearly in need of help, who convinces them to take him into their home and later is revealed to be an escaped convict. The events of this long Labor Day weekend will shape them for the rest of their lives. Review: Sentimental to a fault, it’s hard to associate the director of Thank You For Smoking, Up In the Air and Juno to be behind the helm of Labor Day, a movie that would be perfectly at home in the canon of Nicholas Sparks movies, despite it not being a novel written by Sparks. Yet, Jason Reitman not only directed the film, but was also responsible for the screenplay, and it is such a stark departure from his previous work that it’s nearly impossible to reconcile. Looking past that, it’s easy to see that Labor Day must have had some Oscar aspirations. The film is beautifully shot, and Kate Winslet once again hits it out of the ballpark with her portrayal of Adele. It’s a demanding role that requires the thespian to portray a broad spectrum of emotional states, and yet it has to be done with restraint, appropriate for a love-starved woman who has hidden away from the world. It’s a terrific, engaging performance. Josh Brolin puts forth one of his most charismatic turns ever, and it’s easy to see how anyone would fall for his Frank, who apart from being a convict, is about as perfect a mate as one could hope for. Despite the great performances by Winslet and Brolin, Labor Day is really too schmaltzy for its own good, resulting in a film that becomes increasingly hard to take seriously. This is particularly apparent in the final reel, where there’s such a massive confluence of unfortunate events that the film firmly detaches itself from reality (and this potentially is more the fault of Joyce Maynard than Reitman, but having never read the novel I cannot say for sure). The film also suffers from mild schizophrenia, none more apparent than the pie-making scene, which seems to draw inspiration from the (in)famous pottery sequence in Ghost, and suddenly switches modes into a cooking program. It is almost as though Reitman couldn’t decide whether to make this a thriller, a romance, a drama or a Food Network special, and so he simply threw everything into the mix (pun not intended). Labor Day ends up being a film that would work for a very narrow audience – if you loved the Nicholas Sparks movies, there’s a good chance that you will find Labor Day to be a gem amongst the testosterone-fueled pre-Summer flicks of late. One does hope that Reitman’s next project would bring his sharp, satirical eye back into focus, and not be another rather generic, near-mawkish film like this one. 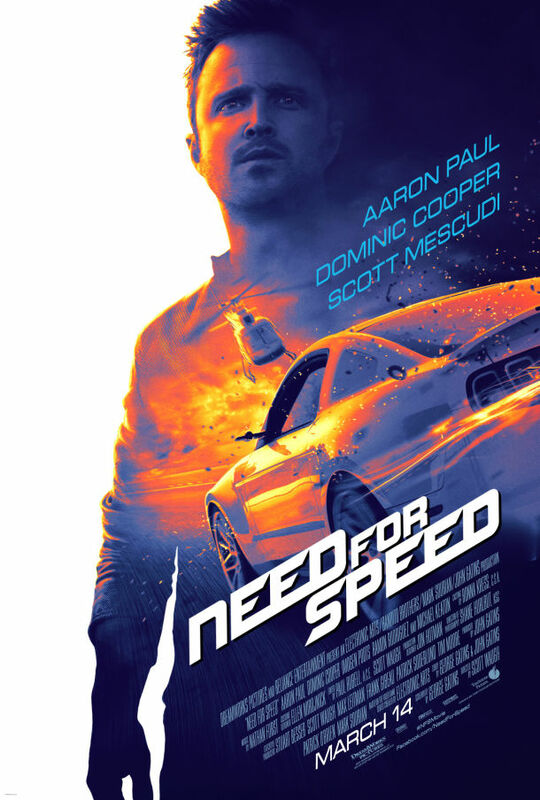 Synopsis: Based on the racing video game franchise, Need For Speed follows Tobey Marshall (Aaron Paul), a blue-collar mechanic, who is set on revenge when the wealthy ex-NASCAR driver Dino Brewster (Dominic Cooper) frames him for a crime he didn’t commit. Tobey knows the only chance to take down Dino is to defeat him in the high-stakes race known as De Leon. However to get there in time, Tobey will have to run a high-octane, action-packed gauntlet that includes dodging pursuing cops coast-to-coast as well as contending with a dangerous bounty Dino has put out on his car. Review: It’s hard to imagine turning the Need for Speed videogame franchise into a movie – the games (numbering 20 or so installments) are very light on plot and focus mainly on the driving experience. Equally surprising is the choice of cast members – instead of the usual 6-foot hunk with a chiseled body and face, and a model-esque love interest with legs that stretch out to eternity, we have the small-ish Aaron Paul and the quirky-cute Imogen Poots as the central characters. And what’s truly intriguing is that it works pretty well – although the film runs way too long, the great acting chops and charisma from Paul and Poots is what makes the film much better than one would expect. That and the visceral stuntwork with the lust-worthy supercars, of course. It is natural that Need for Speed will be compared to the Fast & Furious franchise, but the thing about this movie that it has no pretensions of trying to be a huge blockbuster. Its release date alone is indicative of this, and yet somehow this actually aids the movie since expectations while watching it are lowered. Instead of being fast and frenetic the entire time, Scott Waugh takes it slow and allows room for a bit more storytelling and acting. And this is where the film allows both Paul and Poots to really shine – Aaron Paul is a very, very good actor (anyone who has seen the Breaking Bad series already knows this for a fact) and he brings a gravitas to his role here that is seldom seen in an action film. Imogen Poots is the highlight of the movie, really, and her Julia is the most interesting female character that I have seen in an action film for a very long time. Sure, she still has to play the hapless damsel at times, but there is enough meat on the bone for her role apart from that. Unfortunately Need for Speed goes against its own title and sacrifices a little too much speed for exposition, resulting in a film running over two hours long, definitely exceeding the attention span that most motorheads will bring to the cinema. Although there are three major action set pieces in the film, the final De Leon showdown actually feels like an anticlimax, especially when there’s really no mistaking how it would end. What’s truly great about the driving sequences in Need for Speed, however, is how real it feels, without the obvious digital manipulation that happens in so many movies in the same genre (Fast & Furious 6 was a particularly egregious offender). This is a film that has no CGI and should be respected for that fact alone. This is probably due to Waugh’s background as a stuntman, and the film ends up feeling more organic and comes across as being more believable. It’s not a stretch to say that this is one of the better video game adaptations I’ve seen, although that may or may not be a compliment since so many movies in the same genre have been essentially crap. Need for Speed is a reasonably entertaining diversion, which is about as good as it gets. Admittedly the more popular choice would be either American Hustle or Gravity, but I am not that big a fan of the former, and whilst I was very impressed by Gravity, I don’t think it’s managed to qualify (in my books) as the best movie for the whole of 2013. 12 Years a Slave was an engrossing, hard-hitting, well-rounded movie, and hence my pick for the nod in this category. However, this is one of the most wide-open races for Best Picture in years, so an upset is certainly possible. The Academy voters love extreme weight loss and gain, so McConaughey’s shocking weight loss for Dallas Buyers Club alone would have ensured a fair number of votes. On top of that, it is honestly an excellent, career-defining performance from McConaughey, and the lead up awards seem to indicate this as a near lock for him. It’s a very strong category this year, with plenty of deserving performances (Emma Thompson really ought to have been nominated for her excellent performance in Saving Mr Banks though). However, Cate Blanchett is simply astounding in Blue Jasmine and it’s practically in the bag. A clear frontrunner in this category, Leto’s first role in 6 years has rewarded him amply with wins in almost every single award show so far (barring the BAFTAs in which Leto was surprisingly not nominated). His performance in Dallas Buyers Club is extremely memorable, and based on thespian quality alone, actually a notch higher than that of McConaughey. The remaining nominations are honestly a mixed bag, so it would really be an upset if Leto loses out in this category. Although this category has been awarded often to newcomers, it almost seems like an impossible task for Nyong’o to win out against Jennifer Lawrence, who worked so hard at delivering her performance in American Hustle that it was literally exhausting to watch. There seems to be an increasing backlash against American Hustle, and hence I’m going with Nyong’o as the dark horse winner here. Given that Cuaron has won almost every award out there for his work on Gravity, this category is virtually locked. The only possible upset would be Steve McQueen, but even that seems like a remote possibility. I totally enjoyed Her but it is way more “out there” than the other nominees. Hopefully the Academy would recognize the brilliance of Her and give it the nod it deserves. I have been an ardent fan of the Before… series and found Before Midnight to be hugely enjoyable. However, it has not been nominated for anything else so the chances of a win here is rather slim. 12 Years a Slave seems to be the more obvious choice, but Philomena was a delight and could be a dark horse as well. Inside Llewyn Davis was a gorgeously shot movie but will probably suffer from lack of exposure. Gravity is an equally handsome movie and is a much higher-profile film, meaning its chances are exponentially better here. The natural choice would have been Gravity, but given that ACE awarded the win to Captain Philips, there’s a good chance this would be repeated for the Oscars. If nothing else, The Great Gatsby was a sumptuous celebration in art direction (renamed production design this year) and costume design. More deserving of these two awards in my opinion than any of the other nominees. The only potential upset would be American Hustle’s daring 70s costumes, but I should think The Great Gatsby will have more of a wow factor. I honestly don’t think the Academy will have the chutzpah to give Jackass: Bad Grandpa an Oscar even if it really was the most deserving amongst the three. I don’t understand Lone Ranger’s nomination here and so it will have to default to Dallas Buyers Club. This is a category that could go any of 5 ways, but given the number of nominations that Alexandre Desplat and Thomas Newman have garnered, I think it will be one of them clinching the award. Saving Mr Banks’ only nomination is here and it is thus unlikely for it to really gain any traction and win this award. Let It Go has become a pop culture phenomenon and there’s clearly no other contender that even comes close. War movies have always done well in this category and I’m guessing that will be the only reason the film stands a marginally higher chance than Gravity in this category. I actually preferred All Is Lost but it’s unlikely to beat out Gravity, which is far more visible and should be bagging most of the technical awards. This one is a dead lock. Again, nothing else comes close. 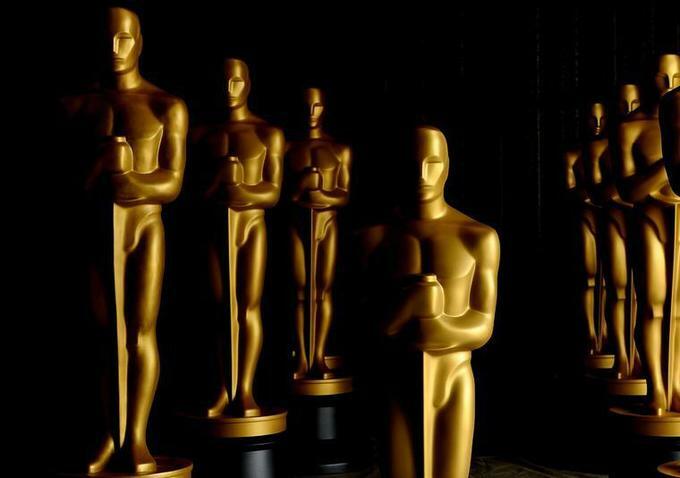 Full disclosure – I have not seen any of the five nominated films here. It seems the buzz is either for The Broken Circle Breakdown or The Great Beauty and I’ll just pick The Great Beauty as the synopsis seems more appealing. Given that the voting rules have changed this year for the category, The Act of Killing would probably lose out to the much more feel-good documentary about backup singers. It’s a new Mickey cartoon and very enjoyable (and innovative) – I don’t think the rest of the nominees would be able to take that combination down. It’s the only English-speaking film in the category plus it stars Morgan Freeman, so on a very superficial level this should likely be the winner.